Billy Allen Adams, 77, of Camp Dix, passed away Tuesday, September 4, 2018, at the Hazard ARH Hospital. 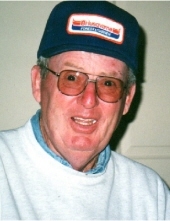 He was born March 15, 1941, in Lewis County, a son of the late Opal Adams Watts. Billy proudly served his country in the United States Army and worked until his retirement for the Lewis County Road Department. He enjoyed mowing, walking, loafing at Roe’s Grocery and spending time with his family and friends. In addition to his parents, he was preceded in death by two brothers, Jackie Adams and Lovell Adams. Billy is survived by his three sons and daughters-in-law, Greg and Shirley Adams of Garrison, Marc and Lorie Adams and Nick and Amy Adams, all of Camp Dix; six grandchildren, Stephanie, Taylor, Lucas, Gabe, Kyra, and Jaisa; and two great-grandchildren. He also leaves many other family members and friends who will sadly miss him. Services will be at 1:00 p.m. Sunday, September 9, 2018, at Globe Family Funeral Chapel at Camp Dix with Bro. Jerry Bloomfield and Bro. John Roe officiating. Burial will follow in Lewis County Memory Gardens with full military honors accorded by Monte Lewis Stamm VFW Post 5438. Friends may visit from 6:00 p.m. until 9:00 p.m. Saturday, September 8, 2018, and after 9:00 a.m. Sunday at Globe Family Funeral Chapel, 7975 Lower Kinney Road at Camp Dix. Pallbearers will be David Adams, Taylor Adams, Lucas Adams, Gabe Adams, Eric Bloomfield, Mark Blevins, Pat McGlone and Johnny Bivens.